Camp Kitaki was developed in a 200-acre oak, elm and cottonwood forest with Fort Pawnee Natural Play Area nestled within those lush, green acres. The fort and natural play area feel as if they belong in this location; as if the forest grew up around the areas. The natural elements of this replica western fort; wooden walls, peek holes, and towers, add to the visual clarity by giving this area some focus in helping drive children’s imaginations. 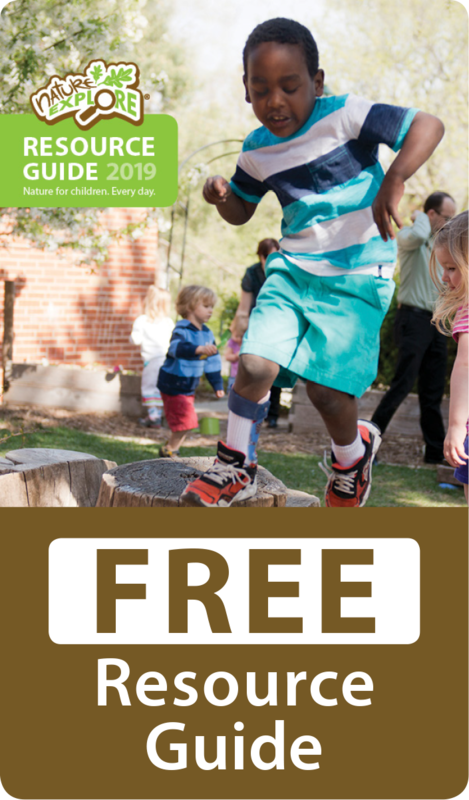 The area includes many different activities all designed to allow children the chance to play in nature in an approachable, safe, and imaginative way. 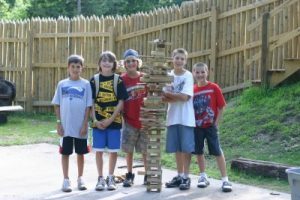 The Kitaki natural play area is a well-traveled area of camp at the intersection of four of Camp Kitaki’s most visited program areas. It is a wide open area with a fence separating the play area from the other areas in camp. Much of the underbrush was cleared from the area to ensure clear sight lines in and around the area. Tree cookies and wood scraps are used for building while fallen trees provide balance beams. A pathway through the forest leads children into a special interaction with this space. Fort Pawnee has needed very little maintenance since installation in 2009. Elements for the space were chosen with the Guiding Principles from the Learning With Nature Idea Book in mind. From the rocks for game pieces to the tree cookies, these elements have held up incredibly well. Input and ideas were sought from staff and campers, ensuring the design and layout were age appropriate for the populations served at camp. Local materials were utilized in the construction of the fort. The Pawnee Indian tribe once inhabited the area around the camp. Area names were influenced by this regional heritage. Mother’s Day, Labor Day and the Fall Family BBQ, among other events, bring in families at different times of the year. 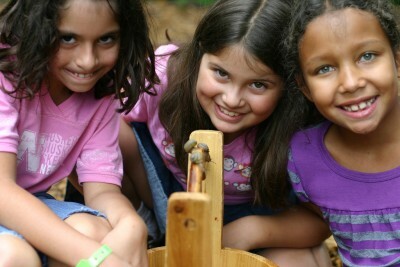 Camp Kitaki strives to achieve enhanced academic opportunities, character development, positive role models and relationships and connections to nature.